ChainLink Research : Research :Going Global or Coming Home? Going Global or Coming Home? The irony in all our concerns in the US is that we expect our government, not the we the people government, but those photographed, followed, reported, and blogged personalities in Washington, to do for us what we don’t have the motivation to do for ourselves. That is: to do something about the trade imbalance and improve US competitiveness and business. Here again is the complex web of motives between citizens, government and business! We don’t seem to be playing on the same team! 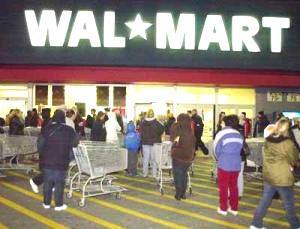 We made Walmart and many high tech firms (i.e. all our electronics made in Asia) the world’s number one in their categories, by adopting and adoring their products. But we never transmitted our values to them, like a Hippocratic Oath for product companies: First, do no harm! We want the Chinese to revalue their currency, boohoo! Ok, maybe they should. 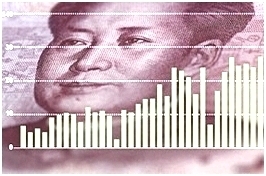 (See Yuan Rising article.) But beware. When Reagan revalued the dollar, we had a stock market crash (Black Friday) that many people have forgotten. We wanted him to do that, so we could sell more overseas. And we had all these tangles with the Japanese then. What would be the impact to COGS or the cost of the consumer price index in the US? What are the unintended consequences of the government playing one position which is at odds with the other players on the team—the citizens—who keep buying imports; and the businesses who keep outsourcing jobs. Charles Schumer, thumping in the Senate, replacing Lou Dobbs as mouth piece for protectionism, is probably more symbolism, not really intended as a legislative policy agenda. Certainly not an effective one with lasting results. We need to address the real fundamental issues at the heart of all this. China’s economy grew at about 11% so far this year, China reported on June 11. China’s exports have been increasing, not decreasing, by about 50% over last year at this time, disabusing the notion that EU or US stagnation would reduce demand, as it initially did during the darker days of 2008, with millions who were let go from jobs. But that is the past. Now demand is high and workers are demanding better pay, etc., especially in global companies, it seems. China’s manufacturing value output reached $1.6T, closing in on the US $1.7T, in 2009. The fact is, they are growing and we are not. Currency changes is a short-term fix—like borrowing one more time. All these squabbles melt when the high tide floats everybody’s boats. We all want to save face. And we all need each other. China has vast problems, as does India. If you look at the world like sports, China seems ahead in the second inning. But more than 50% of their population is truly impoverished, and they fear political unrest if they can’t find a way to take care of the less fortunate and the inequities in their economy. (See CNN Money Report and video.) Crowd control on a billion people can get very ugly. Being ahead means taking care of the team, i.e. the common welfare of the citizens. Given that inflation is a great face-saving excuse, not the pressure from the G20 club, China will make some adjustments. But the exchange rate will be fractions... it won’t show up in your market basket at Walmart; not this year, anyway.